As we all know, the trends change quickly. American Girl is keeping up with it all, with new updates to the My American Girl® doll fashions! Each My American Girl Doll now arrives to you outfitted in the new "True Spirit Outfit" pictured above. The outfit is comprised of an adorable pink graphic tee, gray knee length skirt [with pink belt] and tan faux sued knee boots that showcase a super cute green embriodered butterfly. Check out my video review of the newly outfitted My American Girl Dolls below. 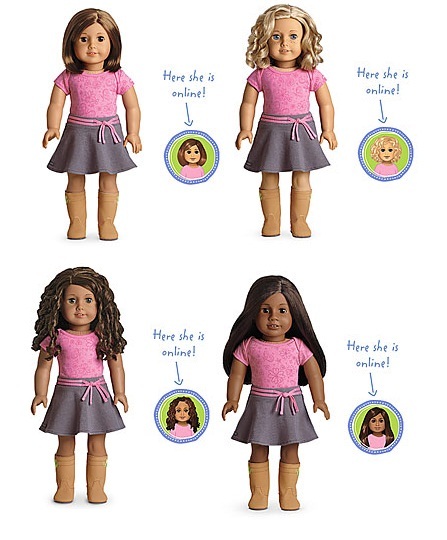 Whether your little girl is looking for a doll that looks just like her or simply her ideal doll, she is sure to find one to love and cherish from the American Girl, My American Girl doll line. As parents we love that these dolls give girls the ability to express themselves creatively by not only chosing custom features, but also great fashions for their dolls with tons of personality! Do you have a little fashionista in training? Then she's sure to enjoy the new Pretty in Pink Coat Set and Soft as Snow outfit for her doll! Does your little girl love to snowboard? She'll absolutely LOVE the new Snowboard Outfit & Gear set, for her My American Girl Doll! Is your child totally wild about sports? There are tons of cute fashion options for the sports fan too! While My American Girl Dolls do not come with a book as the American Girl Historical dolls do, each My American Girl Doll does comes with codes for innerstarU.com; which gives your child the opportunity to bring their doll to life by creating their very own character to explore a fun online world! My American Girl Dolls are a Top 2012 One Savvy Mom!™ Holiday Gift Pick, for girls! What makes her unique? With a My American Girl® doll, your girl can choose her doll's look, interests, and even her personality. An 18" doll with a huggable cloth body, eyes that open and close, hair that can be styled, and a movable head and limbs made of smooth vinyl. Do you know someone who would love to receive a My American Girl Doll this holiday season? (1) One Savvy Mom reader will receive a My American Girl® Doll -- RV$105! 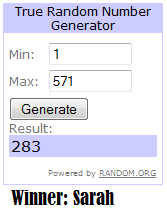 [Winner will receive a #53 My American Girl doll ]. Open to U.S. residents. Entries must be received by December 20, 2012 at 12 PM PST. Reader(s) will be drawn at random through www.random.org and must confirm their shipping details within 48 hours from the time that the email notification is sent (or another winner will be chosen in place).